Rust is one of the biggest enemies when it comes to cleaning. It’s very hard to get rid of it without spending lots of money on special cleaning products, which are also toxic. 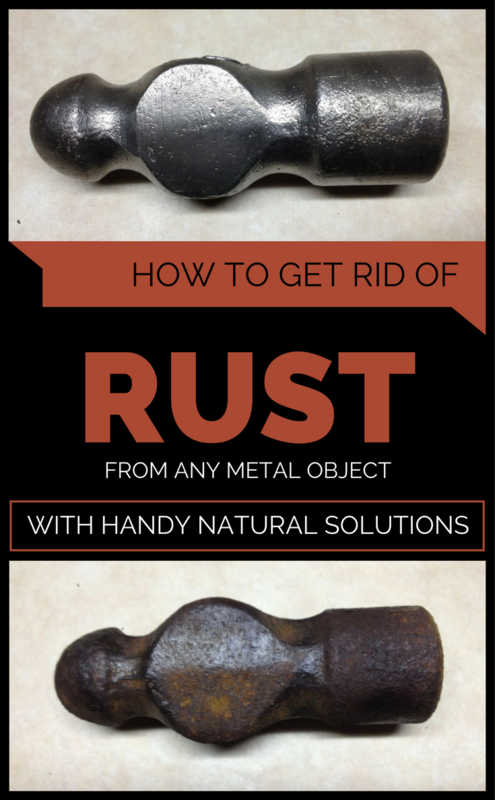 But did you know that you could use some simple and natural tricks to get rid of rust? And the products I’m sure that you already have in your house. Baking soda does real wonders when it comes to rust. All you have to do is to boil a cup of water. In a small bowl, add baking soda, and gradually add water until you get a paste. Apply the paste over the affected area and let it act for 10-15 minutes, then rub the place with the green side of a dish sponge. Rinse with hot water at the end. A simple way to get rid of rust, and very handy too, is using potatoes. Cut a potato in half, pour dish detergent over it, and rub the rusted area with it. Repeat this procedure several times until the rust is gone. When the rust stain is gone, rinse well with warm water. Another handy trick, non-toxic is cleaning the rust with salt and lemon. Apply a generous salt layer to the rust site and then sprinkle the salt with lemon juice. Let it soften and act over the rust for two hours, then with the lemon peel, rub the area very well. Rinse with plenty water.